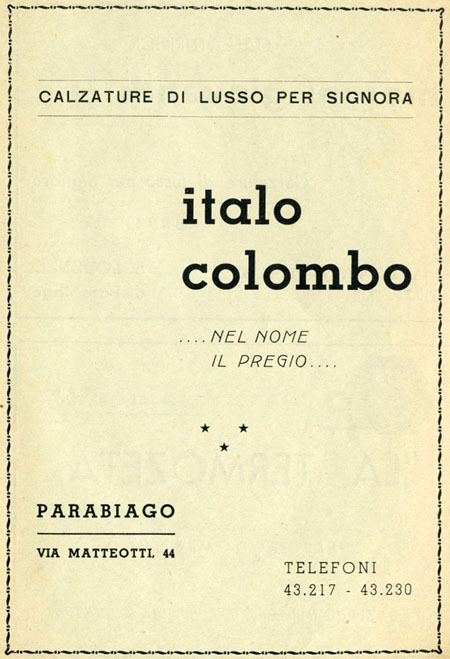 "Italo Colombo (1922). Italian shoe maker. Born in Parabiago, Milan [SS 33]. Right after WW2 (His great grandfather was a cobbler) founded a small enterprise to produce shoes." (01). 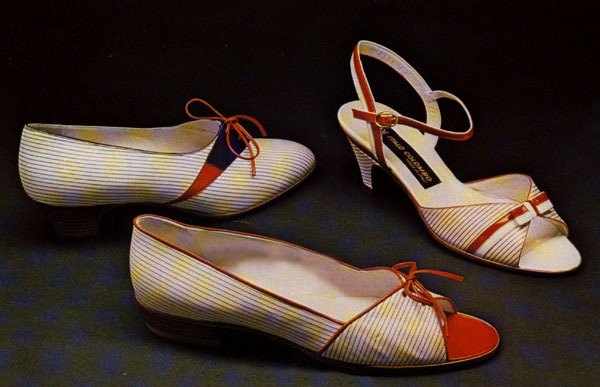 It's the beginning of the brief entry about Italo Colombo on the Dizionario Della Moda (Fashion Dictionary); professor Egidio Gianazza (02), on the other hand, is far more precise: he stated that the origin of the shoe maker Italo Colombo traced back to the Calzaturificio Carina (1946). Founded back in 1916, Carina focused the activity on luxury hand made shoes distributed in Italy, Belgium, Great Britain and Switzerland. Il Carina, prima di trasferirsi in via IV Novembre originariamente aveva sede in via Piave, al numero 2, proprio dove è tornato il calzaturificio Italo Colombo, dopo l’esordio in via Matteotti. 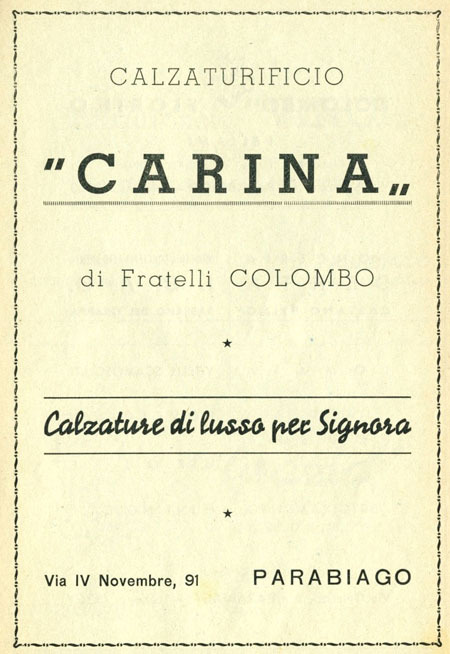 To this day, Italo Colombo's headquarter is the former original Carina's site (Via Piave, 2 - Parabiago, Milan). Quality wise, Italo Colombo was the first to make a dent in Bologna's monopoly of luxury shoe makers. 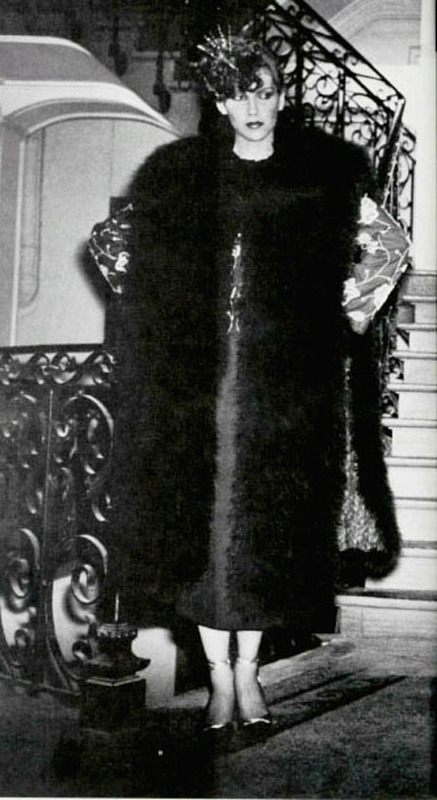 Walter Albini was his friend and consultant; Italo Colombo also was the official shoe maker for the haute couture shows when Florence was the leading fashion city in Italy. Colombo created shoes for Mila Schön, Fendi and other well known brands. He still produces his own line (01). Italo Colombo was awarded by the International Footwear Academy of Turin in the year 1970. (1) Dal Dizionario della Moda - 2010 - di Guido Vergani - Baldini Castoldi Dalai Edizioni.